Explosion of a kerosene lamp. 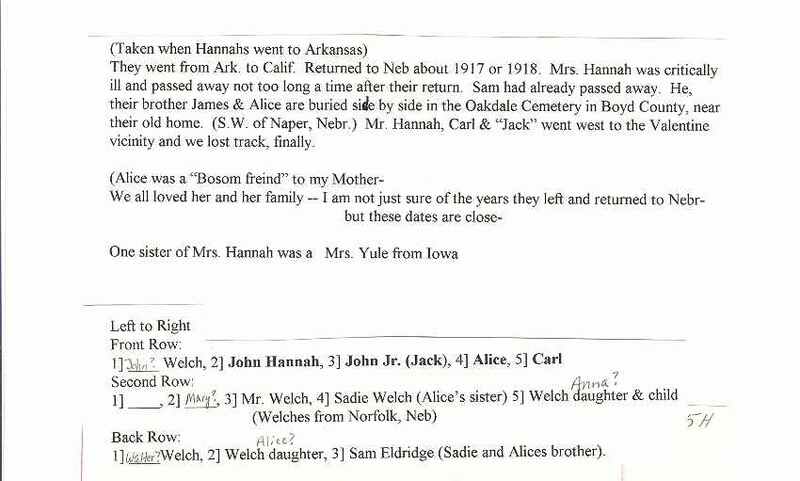 Mary was Michael WELCH's sister who married James' sister Sarah "Sadie" Eldridge. 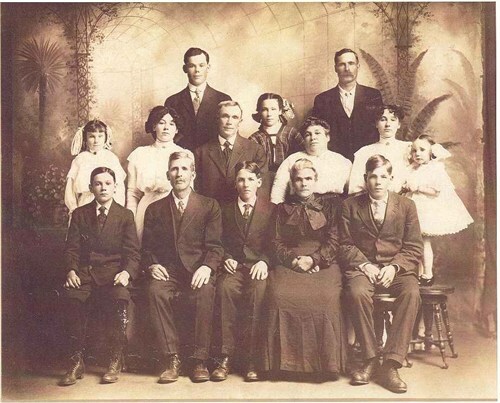 The description of the picture above mentions "One sister of Mrs. Hannah was a Mrs. Yule from Iowa"
See PHOTO above (back row on the right) - with the mustache. He is listed in the 1880 Census as boarding withe the Kellogg Family. His is listed as married and unemployed.